Kaya is my all time favourite spread for toast. Nowadays, you can even eat it with roti canai, roti tissue, well pretty much anything that you want to spread it on really. I recalled that my late Dad used to drive my mum to the market every morning and we would placed our orders of kari mee, chee cheung fun or whatever catches our fancy then for breakfast. Mum would buy her cooking stuff and then buy us breaky. This was the norm of daily life when living in Malaysia before the days of refrigeration. As for myself, I didn't like going to markets as a young girl, seeing meat hung on hooks freaks me out. This is not your normal air-conditioned supermarket where the meat is already packed in a sterile pack for you to take home. Here, you see chickens being slaughtered and pieces of meat and offal are hung. It's absolutely revolting! Gagged! And the floors are always wet with butchers splashing water to clean off the blood from their work area. Eeeww, I would be tippy toeing walking through the stalls there and praying to the merciful Almighty God that nothing gets inside my shoes! Gross! 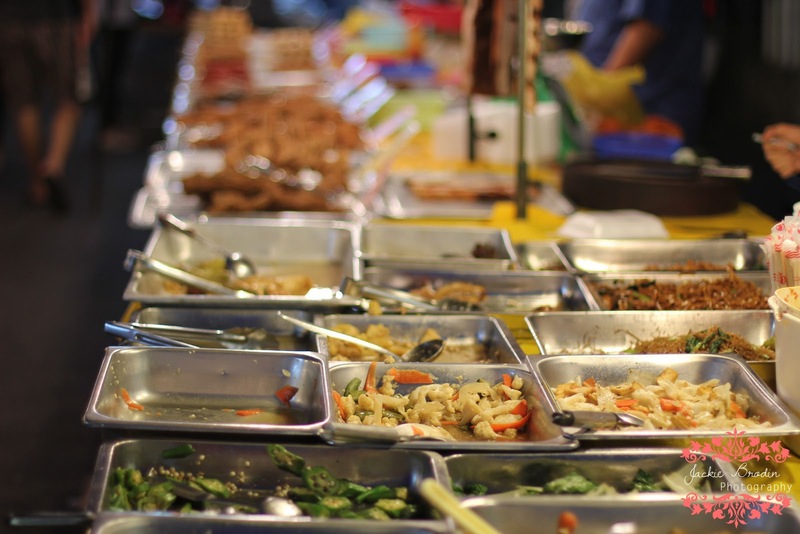 So thankful that the wet market stalls are separated from the food stalls in the market. These days whenever I go back to Malaysia, I would asked my sis to take me to the markets. Still staying clear off the meat section, I would buy ready to eat breakfast, fruits, cheap dvds, nyonya kuihs etc. I love the markets. My recent trip to KL and Penang was no different. 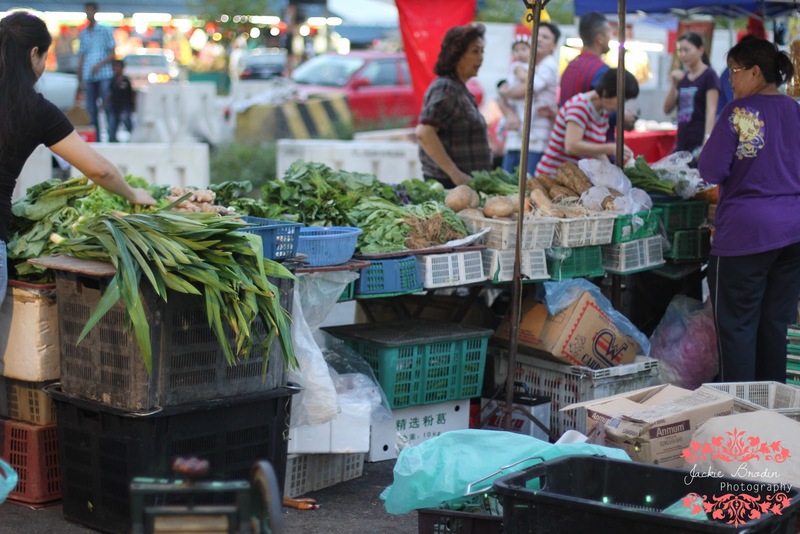 In Kuala Lumpur, my sis and I went to the market at Pandan Jaya and in Penang, we went to the market at Pulau Tikus. Both places has fantastic foods such as nasi lemak, laksa, char kway teow for breakfast. 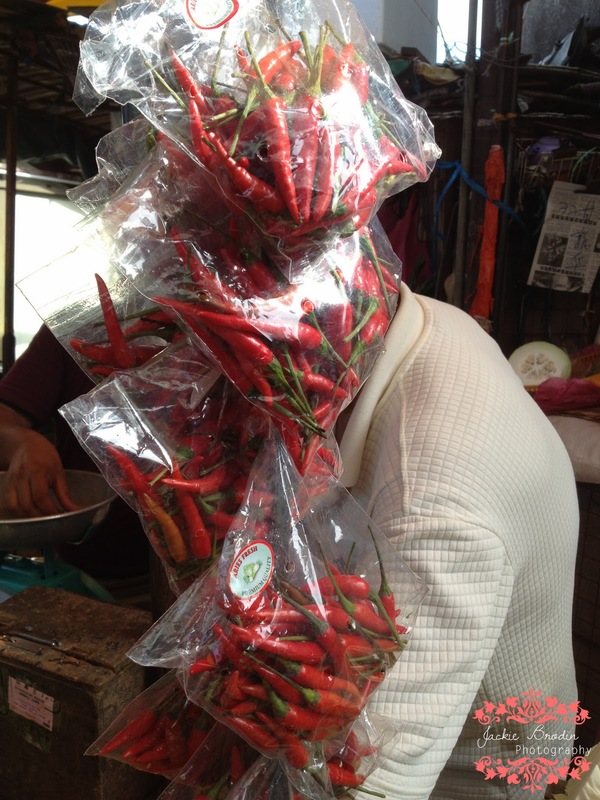 Just to give you an idea of the energy and excitement of a day and nite markets, here are some photos. Chinese New Year decorations are everywhere at the moment, it can be seen hanging in stalls available for purchases. Sigh, I didn't see any petais! I want sambal petais...and just below...I love you so much Assam Boi drink ;) I am happy just eating these with a cup of black coffee for breaky. But why would you want to when there are so many things to eat? Just love it! Why can't mine turn out like those? Perfection! And lastly, I got my apom balik with jagung (sweetcorn), check out this video. A young man, obviously an expert, has been doing this for years. Another thing I have to tweak and make properly at home. 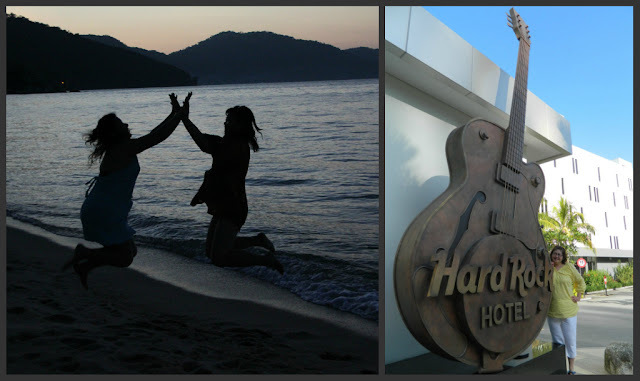 When I first read the email that I had won a stay at Hard Rock Hotel Penang, I couldn't believed it! I even cursed at it, thinking it was some junk email. Then I read the email again and Blimey! It was not a spam after all! It really was from the Hard Rock Hotel. "Lai, lai chiak chiak chiak.... ecoh noh meeeee yeah..ok..ok...don't play play ah, eat eat, very hochiak!!! " When we finally arrived at the hotel, we were greeted with tropical fruit drinks at the reception. Oops! I forgot to take a photo of the drinks. Drats! We had also requested to pay extra to be upgraded to the Lagoon Room the next day. It wasn't available on the day we arrived. We spend most of our times playing outside the hotel such as sightseeing, eating, eating and more eating..LOL! When we were in the hotel, we dined at the cafe for our morning breakfast buffet and swam in the pool in the afternoon and played on the beach in the evening. What I love about the pool was the cocktails by the swim up bar. 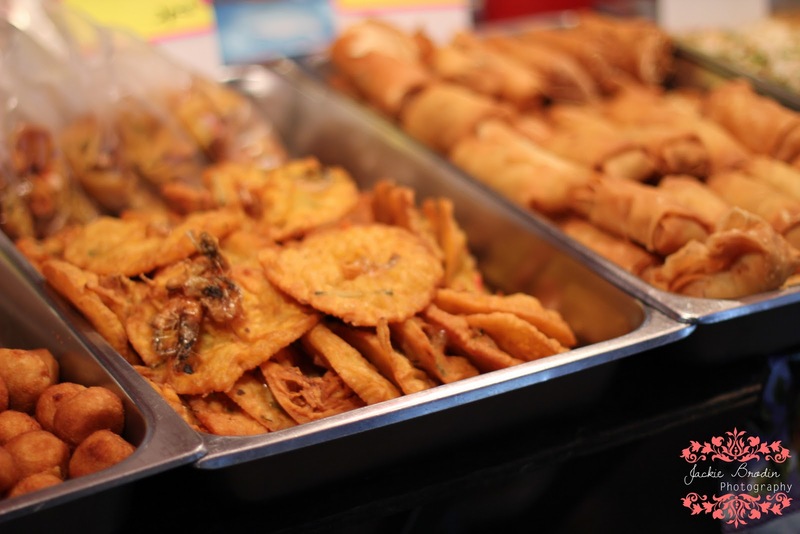 We ordered a dozen mixed satays and a bowl of hot chips with our drinks, it was very tasty. Personally, I can't begin to describe the joy I felt, holidaying with my sister and a couple of girlfriends from schooldays in this awesome cool place. I can only hope that my photos can convey some of my happiness. Till our next trip, Saranghae sisters!!! 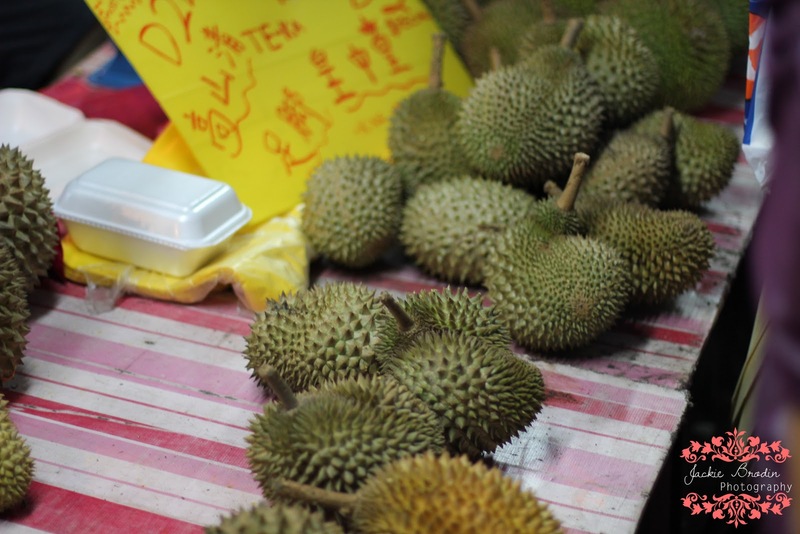 One sunny day in Penang, we went for a drive to Balik Pulau, looking for durian orchards. Unfortunately, none was opened. However they were several durian stalls along the way but we decided to buy ones nearer to home. As we were already in the area, we went up to the Penang Dam for a view. This is also where they hold the annual Dragon Boat Festival. 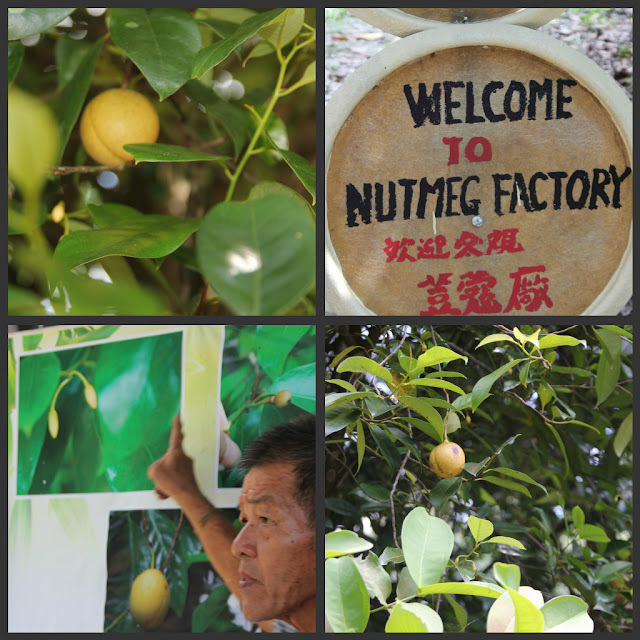 We stumbled across a nutmeg plantation by chance and decided to make an impromptu stop. It was a good decision as we met the friendliest guy, we call him Uncle, he is the owner of the nutmeg plantation. Uncle gave us a tour of his place and a narrative on nutmeg planting. And then there was a quiz, nuh, I'm just kidding you! Good thing too, as I was too busy taking photos, hehehe. But this wasn't a horror movie at all and we really enjoyed the little tour so much. He made such an impression on us, he was very hospitable and informative. 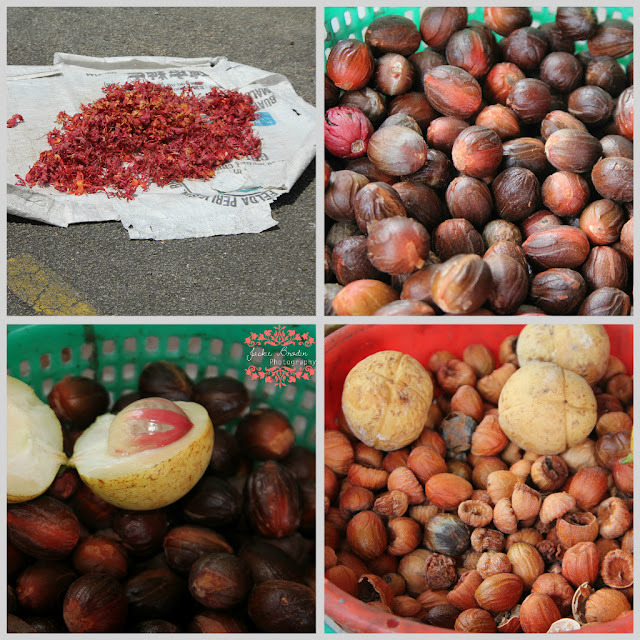 He also offered us various sampling of nutmeg products such as nutmeg balm, oil, jam and juice. I ended up buying as much as I could as I love Penang nutmeg. The cold nutmeg drink was very refreshing, then he made us some hot nutmeg tea. I found that to be strong. There were other fruit trees in that place, we spotted durian tree, cloves, jambu air, banana, papaya etc. What a nice place to live. Fruits in abundance. Kind of reminds me of my old house in Bedong, in the rubber plantation, we had fruit trees galore in our backyard. I was forever making lemon squash drinks. Eating papaya and mangoes from our tree. I kinda missed living in Malaysia. Hmmmm! Nostalgia creeps in. Aargh! Moving on. Here are some of the photos taken during the visit. A friend tweeted, "ain't nothing like a bunch of girlfriends holidaying together". I said, "Amen, ain't that the truth!" The four of us had a ball in Penang and promised to reunite again in two years in another Asian destination for a week of another gastronomic adventure. 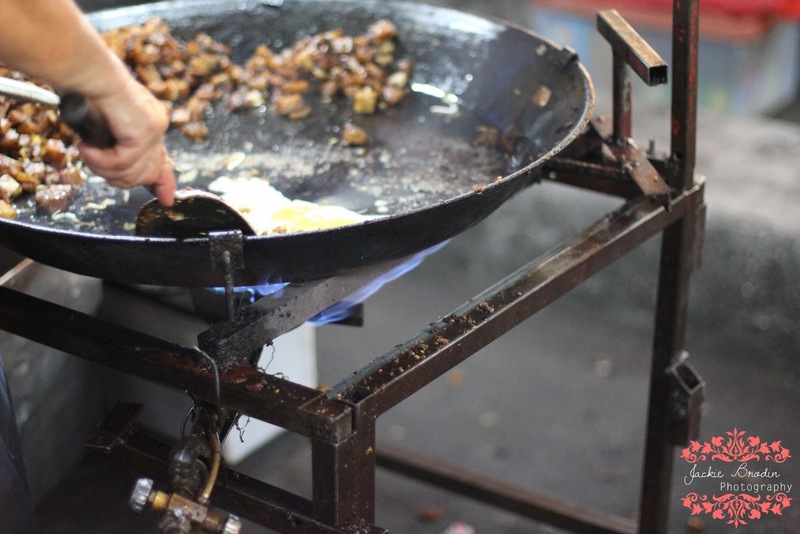 I found that four days and three nights was a bit of a rush this time around, but we managed to capture the best of Penang street food eats as much as we could. No one surrendered and we were just awesome in our foodie holy grail, such troopers we were! The street foods in Penang are just superb. It is second to none. 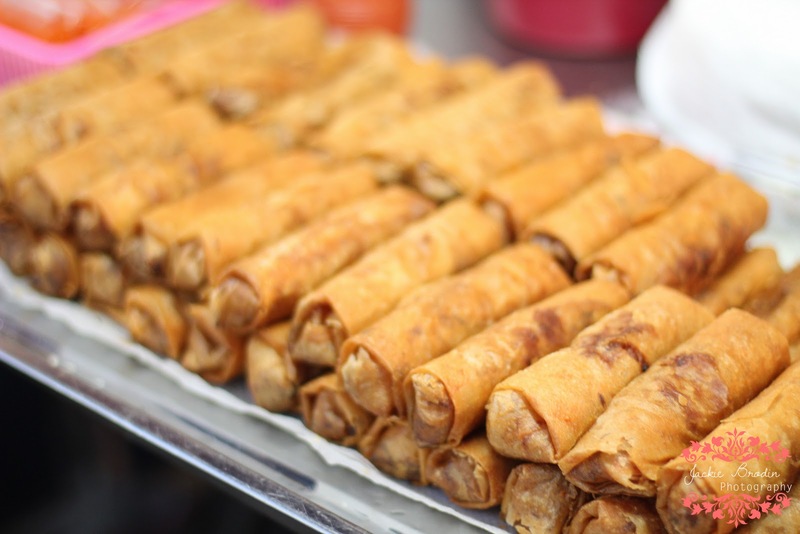 No five stars hotel or Michelin restaurants could ever replicate the experience and taste of street food dining. 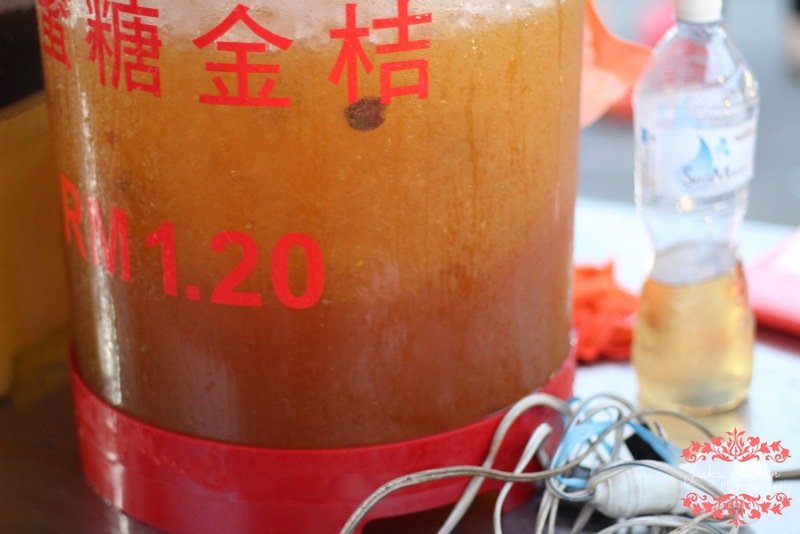 The taste and the smell, the noise and the atmosphere, you will have to visit Penang to experience this for yourself. In conjunction with this post and my recent visit back to Penang, I have a gorgeous Nyonya cookbook to give away, please share the love of Penang foods and comment below to qualify an entry. This book is a bilingual edition. 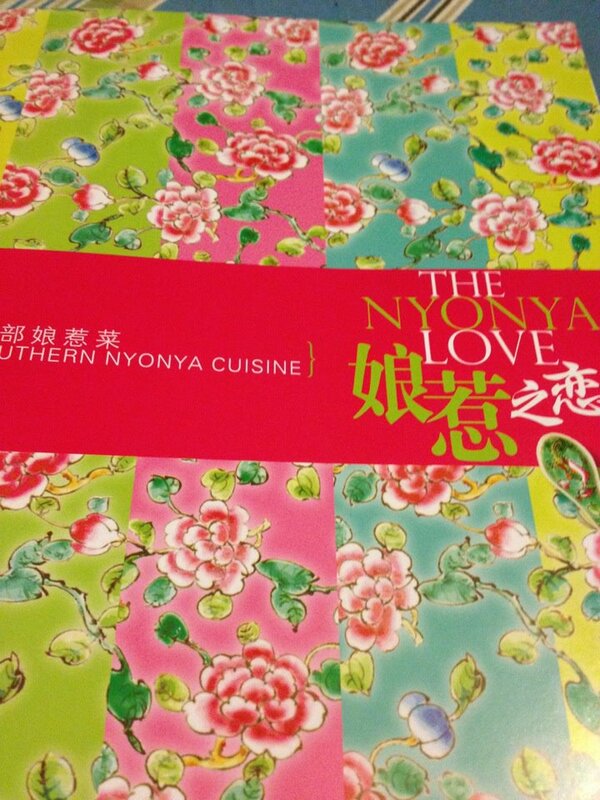 I hope that the winner will be able to enjoy some Nyonya cooking at home too with this cookbook. I fulfilled my bucket list of things to eat while I was there. I didn't get to have a Durian Orchard tour as the local durians are still growing and therefore, no access to the orchard is allowed just yet. That doesn't matter, as we ate plenty enough of other durians till everyone had sore throats, from our body overheating. Should have eaten more mangosteen and drank more water to counter the heaty foods. Without further ado, here are the photos as promised. 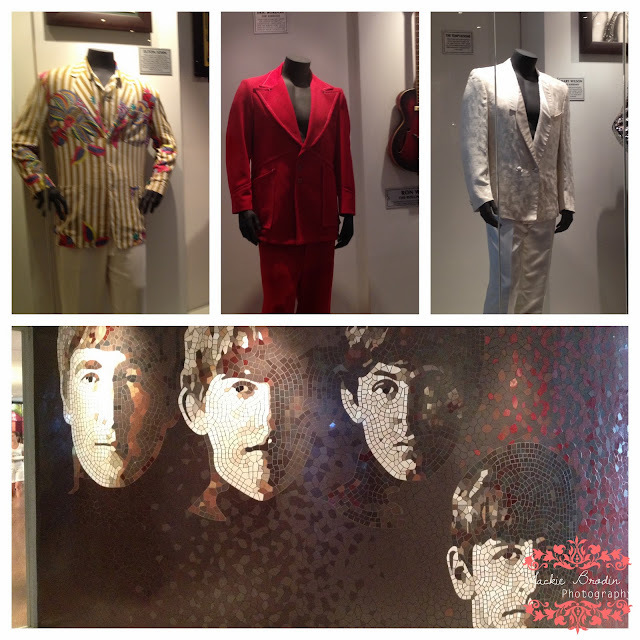 I have included some photos from Kuala Lumpur as well. 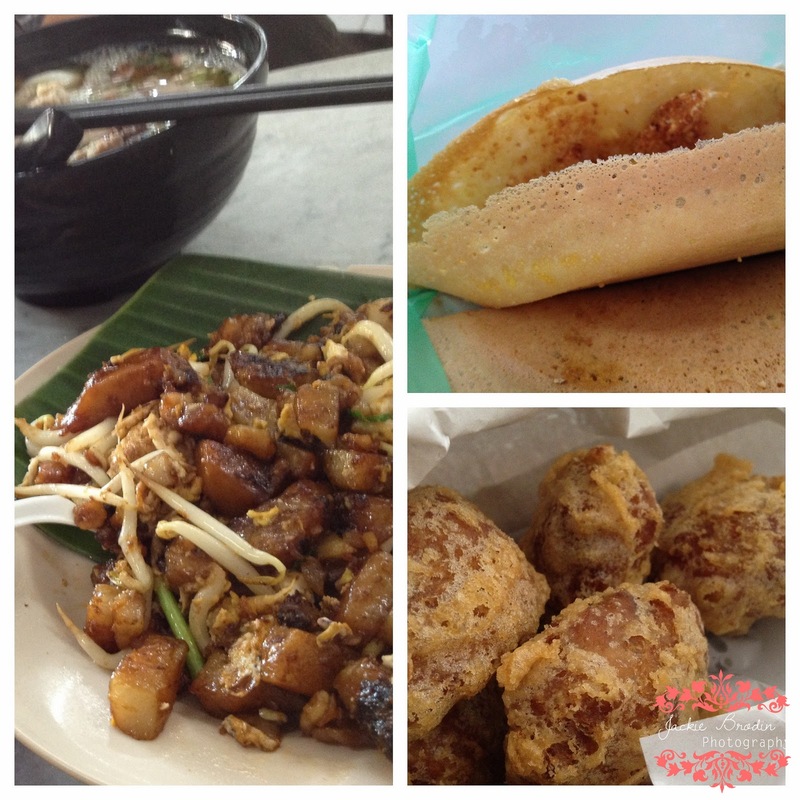 Whilst in Penang, we ate mostly from the street stalls, food court and restaurant. 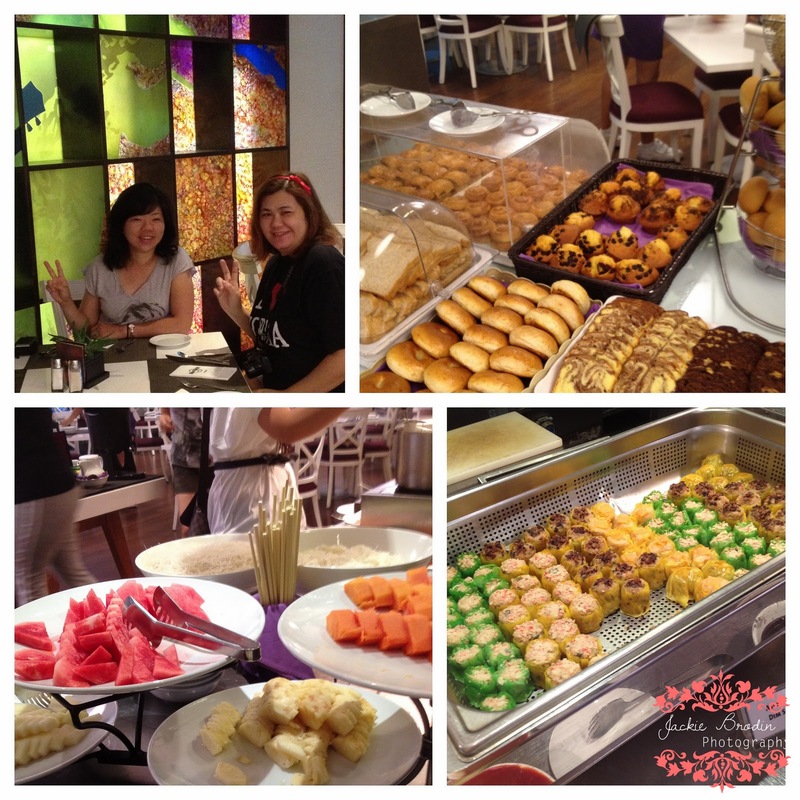 breakfast buffet pix were from Hard Rock Hotel Penang where we stayed at. 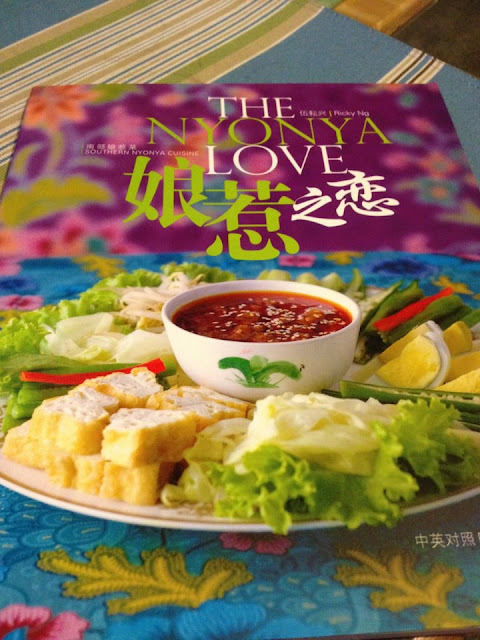 Please comment below for a chance to win a Nyonya cookbook, will close 24.01.12. Winner will be contacted via email. Goodbye 2011 and Hello to 2012. Hi all, so what's in store for you in 2012? As for myself, I am guessing that there will be more food posting to come but first, I want to thank everyone, from sponsors to foodies, readers, friends and family for their continued support. I am so grateful for all the good things that happened to me in 2011. I will work harder to get you, my readers, some terrific prizes, fear not! To recap, I have had generous sponsors for my blog. There will be more coming in 2012. The highlights of 2011 for me was Good Food Wine Show where I flew up to Sydney to help out with Jackie M in collaboration with Malaysian Kitchen Australia. Not forgetting, there was the very lovely and lively Vani, whom I teamed up with at the GFWS spreading our Malaysian love. Okay, we were giving away char kway teow and rendang....I also met celebrity chefs Adam Liaw and Alvin Quah from Masterchef. Alvin gave me a peck on my cheeks and I didn't wash my face that nite. I also got to see George from a far. At the show, I met up with fellow foodies Mel and Simon and I went out to Yumcha lunch with Shirl and Dexter and Ella the next day. It was a great weekend. I was also extremely lucky to have won a travel competition contest via Travelerfolio and I will be going to Penang. It was for a stay at Hard Rock Penang. So, it does looks like 2012, is looking pretty good so far. So I imagined that on the D-Day, the three musketeers, that's Lin, the other Lin and I (my chinese name is Kin, although Mum calls me Kim) will be on the road early from Kuala Lumpur to Penang. Wow, we sound like the famous rock group, Linkin Park except that we're way more cooler! I mean, come on, we're off to Hard Rock Penang, that's gotta be the coolest place in Penang, right? 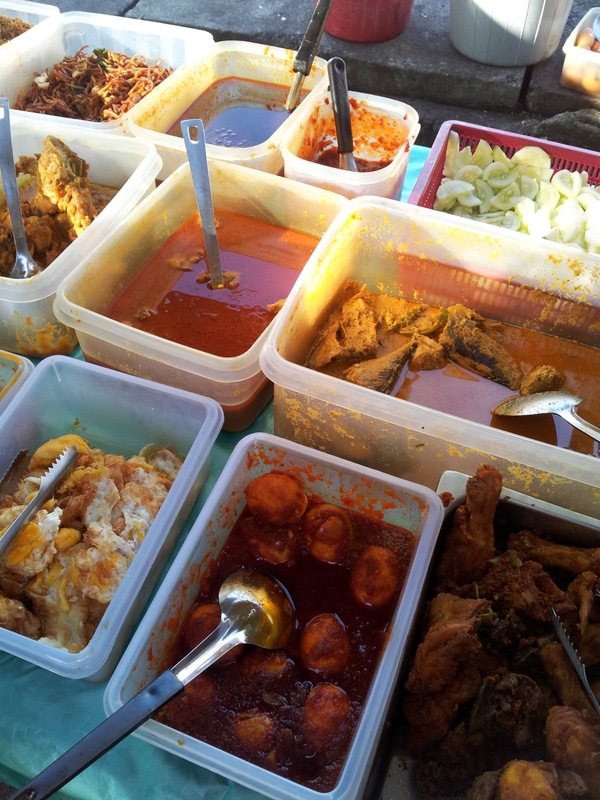 My sister has said that the road to Penang is paved with many makan stalls along the Highway....Oh Lordy! Our four hour drive might ended up being six to eight hours drive! Hahahah ;) Gotta stay focus...oh dear, the things I do for my blog. I will be flying to KL this Tuesday, for the first time with Malaysian Airlines and I am so looking forward to the inflight service and entertainment, there are so many Asian movies to watch on board. Happiness!!! !